Tucson Yoga Sol is a new hot and warm yoga studio on Oracle Road, in NW Tucson. Headed by Diane Faircloth Van Maren and Dustin (Dusty) Dame the studio offers classic hot and warm yoga (Bikram method), with several yoga variations (Yin, Basics, Bikram Beats) and Inferno Pilates, which give students a chance to vary their practice throughout the week. Diane Faircloth Van Maren, one of the two studio owners of TYS, began practicing Bikram Method in 1999 after living several years with back pain. Although it wasn’t immediate, over time her back healed and she has remained pain free with regular practice. Inspired by her own healing, she was certified to teach in 2003 and has been active in the Tucson Hot Yoga community ever since. During this time, she says she has the "honor to witness the healing power of yoga" in the lives of many of her students, which continues to infuse and inspire her teaching. Diane lives on a small ranch in NW Tucson with her husband, Jeff, and their three dogs and two horses. Dustin (Dusty) Dame, one of the two studio owners, says he "found yoga at a dark time" in his life. He remembers being "out of shape, mentally lost, and spiritually bankrupt." After having an epiphany (like a bolt of lighting) that he needed to do hot yoga, he found a nearby studio, and in his first class (after the first deep backbend) had a moment of mental clarity and was "hooked". His daily practice over the next two years, "completely transformed my mind, body, and spirit". His Bikram Yoga Teacher Training in the Fall of 2012 was "one of the most challenging and rewarding experiences of my life". He's taught at studios in Tucson, Phoenix, Montana, and India. "I truly believe Bikram Yoga saved my life," says Dusty adding, "I owe a debt to all of the teachers, studio owners, and students who have helped me along my path. My desire is to give back to the community that which was given so freely to me. " 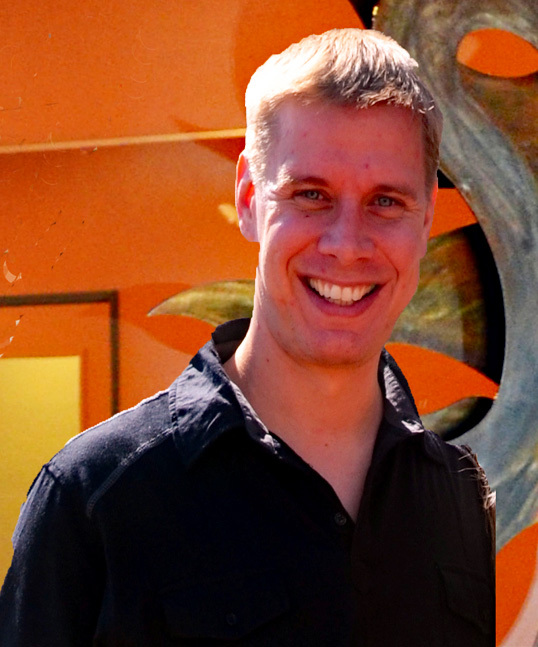 When not at the studio, Dusty enjoys exploring the Sonoran Desert, traveling, and spending time with friends and family. It is so simple. Breath. Becca Cammack says she walked (actually limped) into her first Bikram Yoga class in San Diego in 2005. She had just been diagnosed with moderate to severe Rheumatoid Arthritis and was taking medicine she didn't want and receiving prognoses she didn't like: "You'll be disabled in 10 years," for example. "Three months after hopping around on one foot and crashing into the poor folks unfortunate enough to set up their yoga mats in my general vicinity, I was free of both symptoms and drugs, and spent the next seven years cultivating a daily yoga practice before going to Bikram's Teacher Training in 2011," tells Becca. Teaching at many different studios across three continents, Becca returned to her home town of Tucson in 2013 to deal with an autoimmune disease. Here she found her new home studio and yoga community, and today, once again finds herself "pain-free, drug-free, and in the best health of my life". Erika Genis began her yoga journey to help deal with job-related stress and a back injury in 2008. Every since, she says: "I have never stopped my practice for more than two-weeks. My practice continues to keep my mind and body healthy." With an interest in deepening her practice and sharing her passion with others, she completed her 200 RYT training in May, 2017. 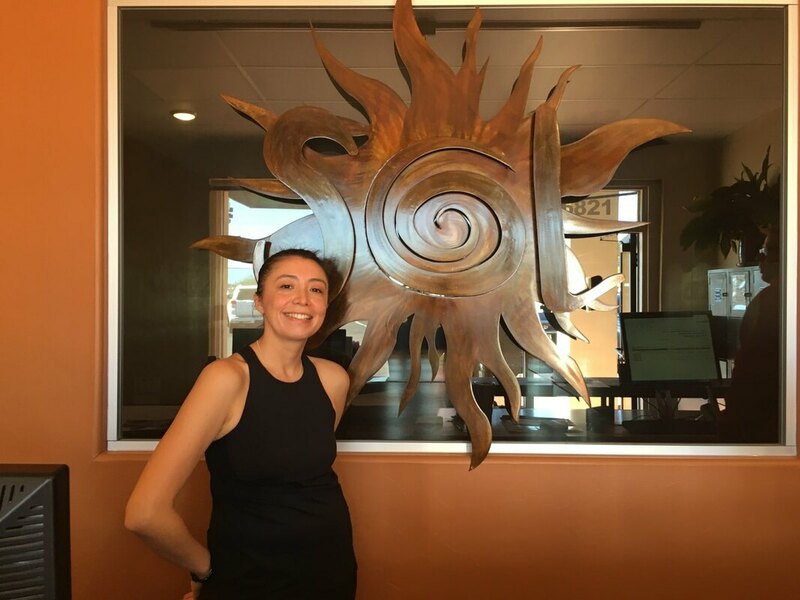 Says Erika: "I am honored to be a part of the Yoga Sol team!" Donna Lawson As a business owner in a highly competitive field for over 25 years, Donna began her yoga practice in 2006 to help work through stress and anxiety. After many handstands and headstands, the injuries started to outweigh the benefits. A good friend introduced her to Bikram Yoga in 2009, and it changed her life. Her injuries went away, her stress and anxiety improved drastically, and she became a much healthier and happier person. 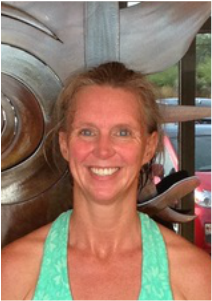 Donna received her 200 RYT certification at the Bikram Yoga AZ Original Hot Method School in Paradise Valley, where she had the honor of being trained by Cintra Brown and Nicole Deacon. ​Donna is also certified in Yin Yoga (30 Hour). "I hope that I can help people experience the benefits of the Bikram Yoga method, just as I did"
Evelyn started practicing yoga during college, in Santiago de Chile, but it wasn't until 2008 that yoga came deeply into her life. After 7 days of her first-timer Bikram yoga practice, she could tell there have been significant improvements in her life: This was a beautiful and effective way to get rid of stress of her demanding engineering job. After several years of practicing she attended the teacher training in LA on Fall, 2012. Since then, she has taught in Tucson, Cancun and Santiago, and attended pregnancy and post-partum yoga teacher training (112 hours). 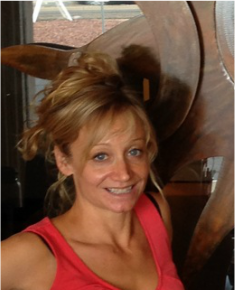 Sherry Dean took her first Bikram class in Dec 2001 and was "immediately hooked". Sherry traveled a great deal and found that Bikram was the only thing that helped with her back pain. Since then, Sherry has practiced in 47 studios all over the globe and attended 8 Bikram workshops. Sherry attended the Bikram Teacher Training in Fall 2008. Ever since she was certified, she's been teaching because, "I love sharing yoga with others". Sherry says, "Yoga can help in so many ways if you just keep practicing.☺"
Katharine Norberg moved to Tucson in Sept. 2017 from Seattle Washington. Needing to create her own “sunshine” in the rain and the cold 9 months a year, she found Bikram yoga in 2006. Says Katharine: "Not only did Yoga bring me peace, I didn’t need to see my chiropractor anymore after a skiing accident!" After taking the intensive 12 week Bikram training, she decided to dive in. Six months later, she took the Inferno Hot Pilates training. "After incorporating Hot Pilates with my yoga practice, my strength and flexibility improved so much, I feel like my yoga went to the next level! " says Katharine. Besides yoga and Hot Pilates, Katharine loves to make art: jewelry, paint and love ceramics. She hikes, bikes, plays tennis and finds joy in gardening, cooking, listening to music, reading and socializing with friends. She's an animal lover and always look forward to walking her best dog friend, Daphne. I’m also blessed to be a Mom. Says Katharine: "So happy to reside in Tucson now and excited to see you all in class!"